Have you ever seen inside...? A few weeks ago, Brian Davis mailed me about his photos from the inner parts of a PF XL-Motor. Nevertheless here you have some interesting photos for the inner parts of this huge and powerful PF motor, which delivers up to 40 N.cm until it stalls . For the complete picture series from the disassembling process, please refer to the respective Brian's folder at BS (despite almost every picture shown here...). This info have meanwhile, also been added by Philo to complement his PF info page. As he mentioned, realize on the dual stage planetary gear reduction. You can even see the grease over the gears for lubrication. Thanks for the hint, Brian! I don't know how to e-mail Brian Davis or I'd ask him. 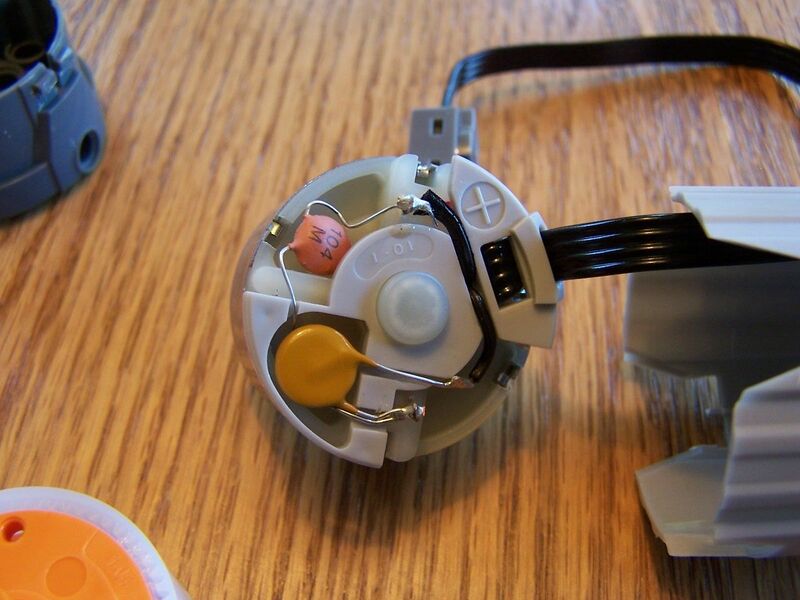 Can you tell me any of the relevant of the electric motor housed within? I would like to try replacing it with a stepper. I think it's about time a real Lego stepper was made. What exactly would you like to know about the housed in motor? 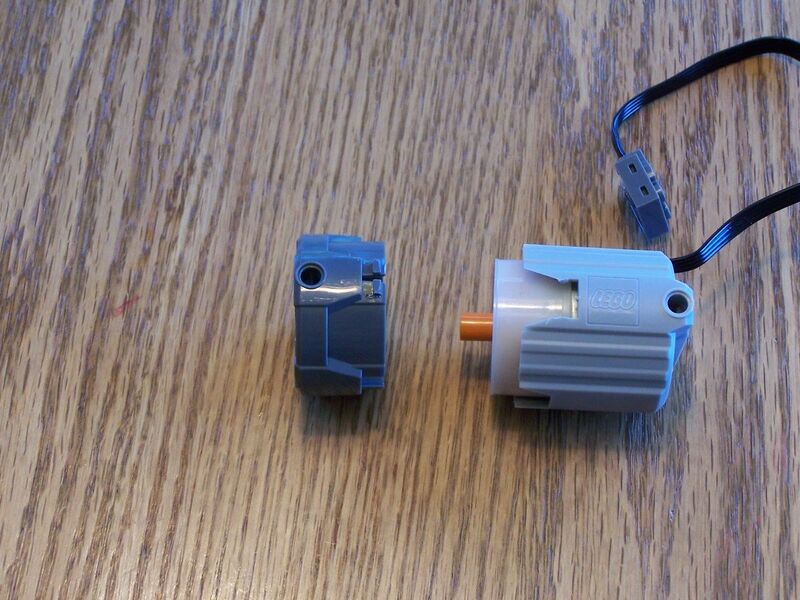 I have some open, but this OEM motors does not exhibit any reference or branding. 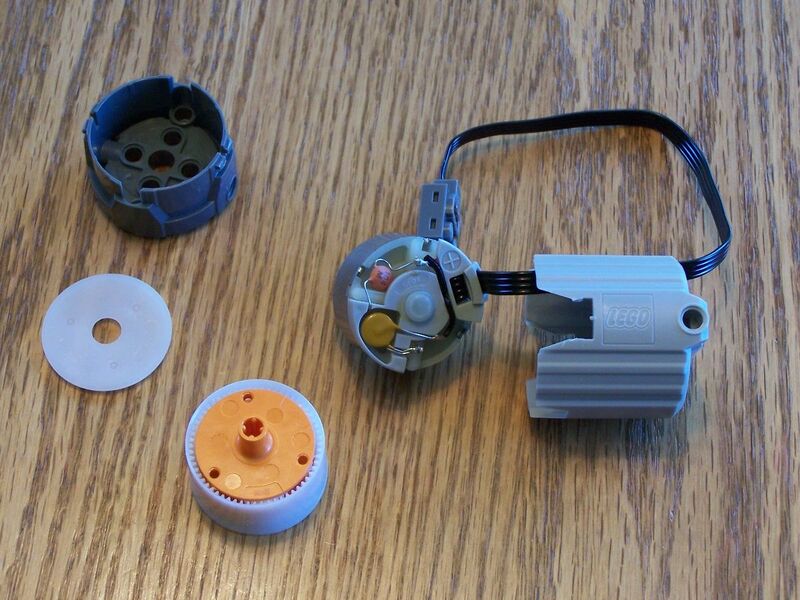 If you want to replace the motor with another type, you'd have to open one anyway. So I'd recommend you to do that and further check what's inside. I intend to, but Lego says it will be the year 2020 before I can get my hands on one. If I could just get the shaft diameter (probably a 16th of an inch) and the diameter and length of the can. It doesn't look like the screw holes are important for the mounting in the housing. Once I have that, I can start shopping. I intend on using the motor housing, a stepper, L298 Hbridge, and an Arduino Mega to make a new robotics platform for Lego. 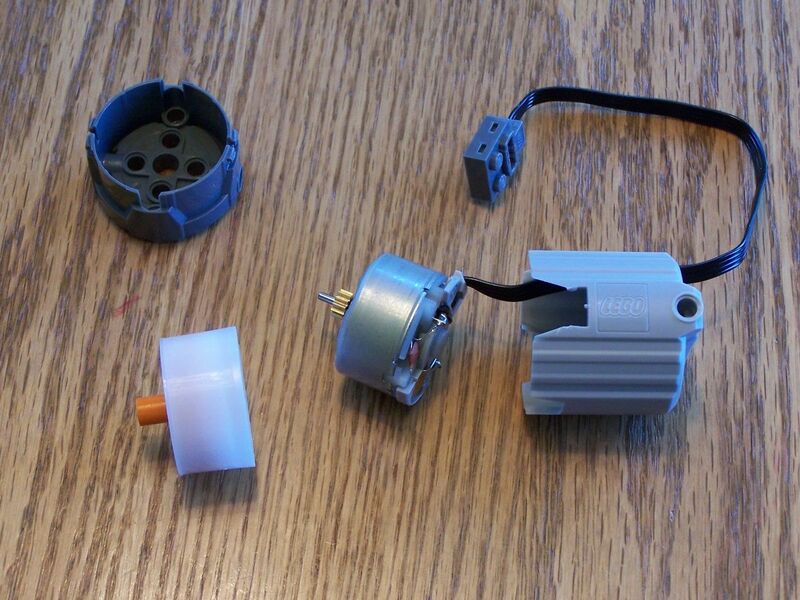 It will take NXT Servos, Sensors, PF Motors, Hobby Servos, OEM sensors, and steppers. The shaft diameter is exactly 2,0mm (0,0790in). The can length is more difficult to specify because of the protrusion in the back, that fits into the housing, but you may consider 22,84mm (0,899in) end-to-end. 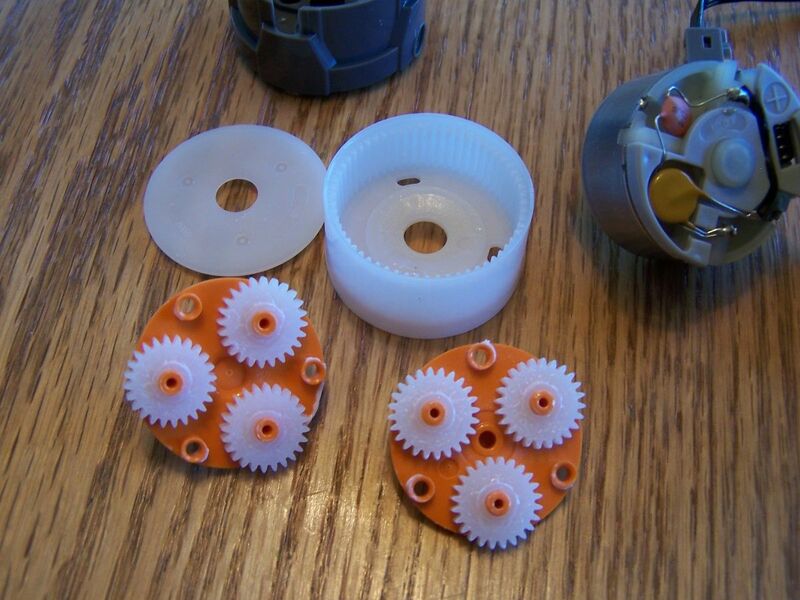 Don't forget the shaft includes a metallic gear that fits into the 2-stage orbital gearbox module. 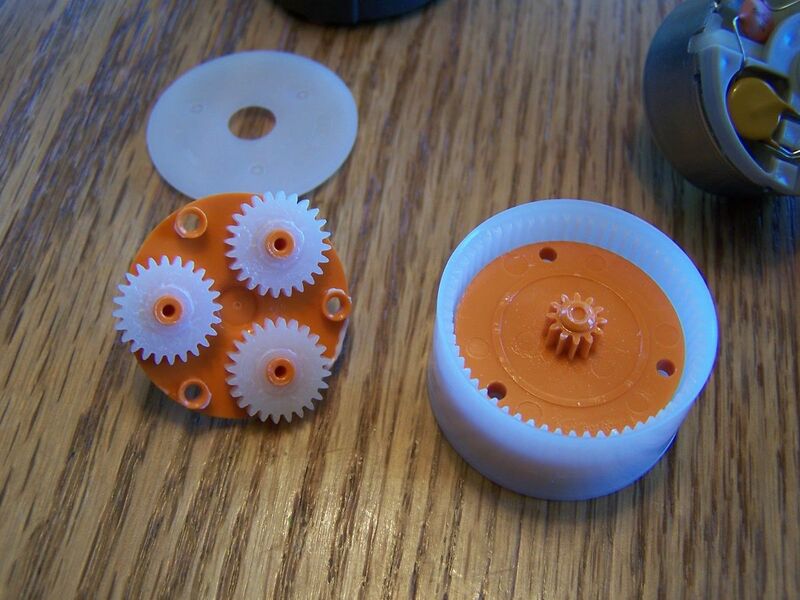 The screw wholes in the can are also important to fit into the 2-stage orbital gearbox module. There are lots of 35mm steppers that are probably too big. Obviously, regardless, new screw holes will need to be tapped. If this unit can work, then 48 steps in to a 36 to 1 gear box would get us 1728 steps per revolution of the unit, though, doubtlessly, it would be painfully slow. Unless you probably find a deeper one, and eliminate the gearbox or fill its space.